Our Company was formed in 1930 by Robert B. Payne, Inc. who, with a horse and buggy, started a business delivering wood and ice to local homes. When the mercury starts to rise, the last thing you want is for your air conditioning unit to be failing. Our team at Robert B. Payne, Inc., offers a range of air conditioner services in Fredericksburg, VA and surrounding areas. The professional technicians of Robert B. Payne, Inc. are knowledgeable about a wide variety of heating services and heating products. It does not matter if you have a residential heating unit or a commercial unit; we specialize in both. Many households depend on this fuel source and we at Robert B. Payne, Inc. are happy to provide heating oil delivery services to our neighbors throughout the Fredericksburg area. If you’re like many people, you put off water heater repair until the problem gets to the point where you can’t ignore it anymore. This is quite understandable since most water heaters function without any noticeable issues for years at a time. When things go wrong, it’s natural to expect that the system will somehow correct the problem on its own. However, if you detect anything out of the ordinary with your water heater, it’s important to get it fixed professionally as soon as possible. At Robert B. Payne, Inc, it’s our goal to make the process as simple and convenient for you as it can be. You’ll always be able to count on our experts to handle any issue quickly and efficiently. If you keep these problem signs in mind, you’ll be able to catch issues in their early stages. If you suspect that something is wrong with your heater, don’t hesitate to contact us for an inspection. The sooner a problem is detected and diagnosed, the more likely it is that it can be fixed with simple water heater repair rather than with installation of a whole new heater. Your hot water heater usually works without complaint. Combine this with the fact that it’s hidden in the basement, and it’s no mystery that you usually forget about it. Unfortunately, it’s impossible not to notice when a water heater breaks down. To uphold performance and ensure efficiency, you can schedule preventative maintenance today. 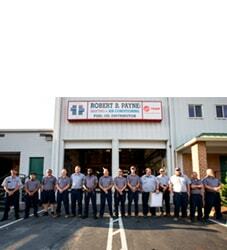 At Robert B. Payne Inc, we aim to prevent costly repairs, increase efficiency, and extend the lifespan of your unit. When you schedule water heater maintenance with us, you’ll enjoy efficient and professional service. We aim to provide the most competent and satisfying maintenance possible. We’ll begin by examining the entire system, seeking out any weak points and repairing any issues we come across. We will also periodically drain the tank. Over time, sediment may build up inside the water heater. This will damage the tank. Let us prevent any issues, and keep your water heater functioning seamlessly! The cost to repair a home water heater can change exponentially depending on various factors. 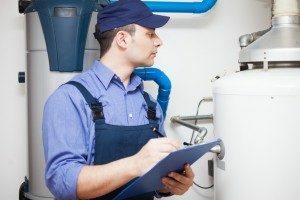 Factors such as the size of the water heater, the type of system, the repairs required, and the length of the job all play a significant role in determining the overall cost of repairs. We can guarantee homeowners and building managers a complete quote of our services before any work begins. We price our services affordably to ensure homeowners and business owners alike may take advantage of complete water heater repairs and installations. By working within your current budget to offer you exceptional advice and service, our experienced technicians prove their worth. If a simple repair doesn’t fix the problem, we also provide full water heater installation services. We offer state-of-the-art apparatus that is among the most energy-efficient in the industry. These high-quality heaters can save you significant amounts of money per year while heating your home or office space. One type of heater that has become quite popular recently is the tankless water heater. By replacing the traditional tank with an electric or gas heating unit, households can save up to 35% of their usual heating costs. Contact us today to learn more about these efficient systems and their installation. Most homeowners opt for a tankless water heater to prevent running out of hot water. A new tankless water heater is an investment that offers countless benefits. However, those benefits are only effective if the system is well-maintained. That means preventative maintenance scheduled regularly, prompt repairs, and professional installations. We will diagnose and troubleshoot your system immediately. At Robert B. Payne, Inc, our expertise is put to work when you first call. Whether you require a tankless water heater installation, repair & maintenance, or any other plumbing service, we’re the folks you need to call. As your local heating experts, our team will ensure your tankless investment runs efficiently. That means checking each spot, all potential problems, and repairing any issues before they worsen. We get the job done right the first time, so you never have to worry about rescheduling service at a later date. When you are trying to decide on whether or not to replace your water heater, one of the most common questions is how long a water heater typically lasts. As a general rule, a water heater is expected to last approximately eight years. If your water heater is only a few years old, it may be worth it just to repair it rather than replace. However, if your water heater is eight to ten years old, you will want to talk to a professional about water heater replacement. Why should I leave water heater repair or installation to the professionals? Any water heater repair or installation tasks require a remarkable amount of work, most of it quite complex. When it comes to repair or installation work, the slightest misstep may result in devastation and create even further expenses down the line. On the other hand, when you allow a professional technician to handle the job, the work is backed by a professional company whose technicians have both thorough training and the right tools for the job. Another major setback for homeowners and business owners looking to do their work is the warranty of their water heater. By performing your work, you void the heater’s warranty. This could be very costly down the road. 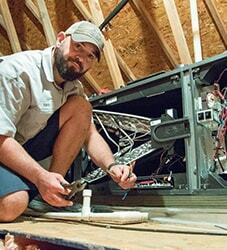 A few dollars saved by trying to do the repairs or installation yourself is not worth the risk to your family or home’s safety. 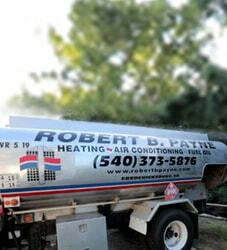 For more information about water heater repair or replacement, contact Robert B. Payne, Inc. at (540) 373-5876 today! We are happy to assist you! If you need after hours service, please call 540-373-5876 and a technician will call you back within 1 hour. Ask a question or provide a comment for us by using the online submission form. Get discount on HVAC service. Click here for a special financing offer from Trane. Call 540 373 5876 ‎now to speak to one of our friendly staff members. © 2019 Robert B. Payne, Inc. All Rights Reserved.